Hello and welcome to my blog. 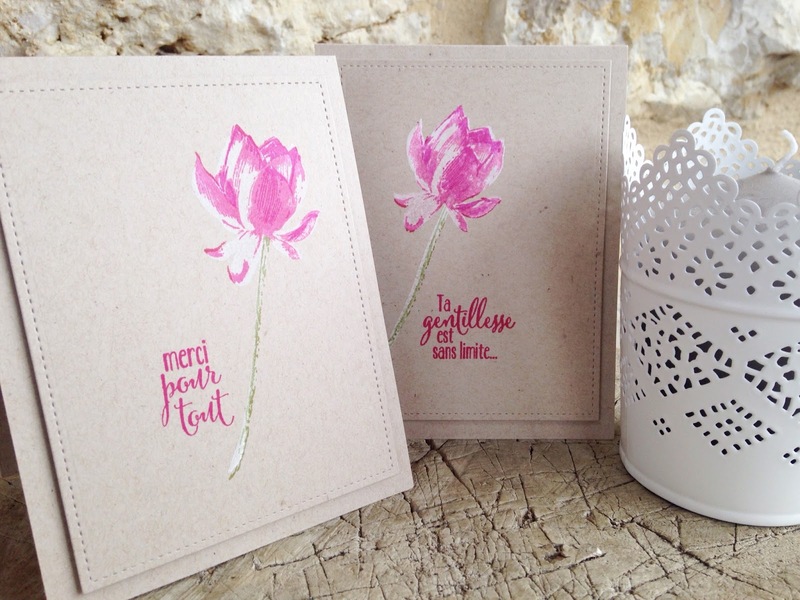 Today I have a quick video tutorial that uses the free Lotus Blossum/Tant de Joie stamp set from the Stampin' Up! Sale-A-Bration catalogue (en français). 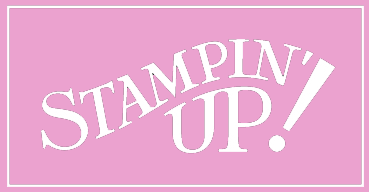 If you are missing any Stampin' Up! catalogues please complete this form and I will ensure that you get copies. I have seen many tutorials on how to use this stamp set but this video focuses on how to use white ink as part of the layering of the different stamps. The initial idea came from a Jennifer McGuire video on the Hero Arts blog. 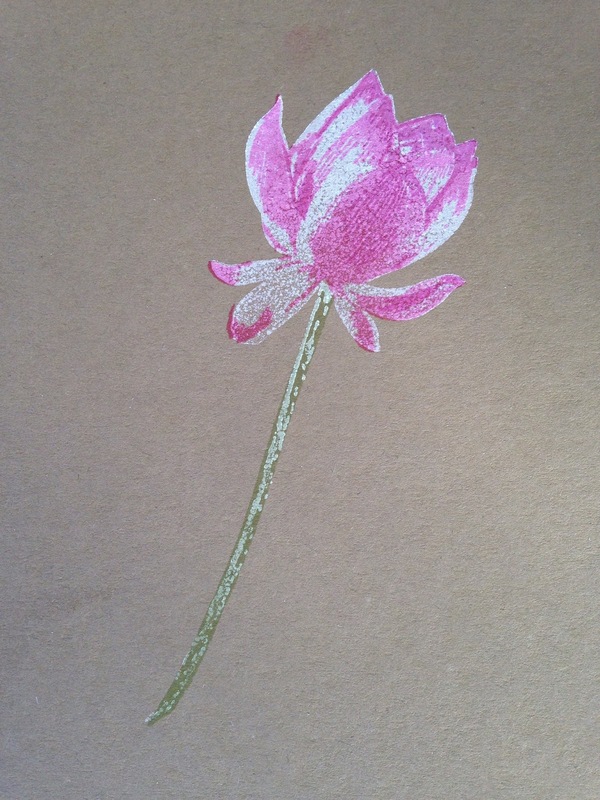 To enhance this effect you should use a darker or kraft card stock. Remember that the white pigment/craft ink can take longer to dry so be careful not to smudge your beautiful work. I recommended using the Stampin' Mist and the Stampin' Scrub in the video to clean your stamps. The white pigment ink can be difficult to remove and the mist and scrub make easy work of it. Also you should not be concerned that your photopolymer stamps appear stained even when they are clean. 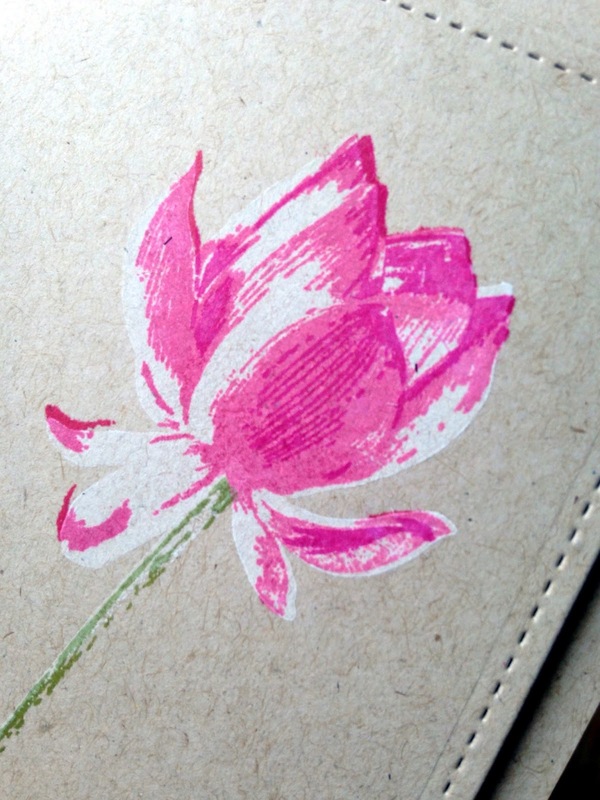 I have heard that the better quality stamps will do this and it does not affect the stamping process in any way. I actually prefer the photopolymer stamps as you can see exactly where you are stamping. I think that produces an awesome effect too. Just remember the Golden Rule - the white ink needs to be a *pigment* ink and the coloured ink needs to be a *dye* ink. Remember you cannot buy this stamp set - it is only available as a gift with purchase of £45/60€ during the Sale-A-Bration event - and that only lasts until 31 March 2015. That's only just over a month - so treat yourself to a few goodies today (I personally recommend the Stampin' Trimmer - it is the best I've ever used) and you can receive this gorgeous stamp set (or anything else from the SAB catalogue) as a gift. And don't forget that you get a gift with each £45/60€ that you spend - there's lots of choice. If you haven't got a catalogue please contact me and I'll make sure you have one right away. If you enjoyed this project please use the code BCXXCDWY to support me (this code should be entered in the box that reads *Do you have a hostess code? * on the Stampin' Up! checkout page). All hostess codes correctly entered will earn a free gift direct from me. If you use this code and your order is at least £120/150€ excluding shipping I will send you a free *make and take kit* of my choice. If your order is over £150/200€, please do not use this code as YOU become the hostess and get the Rewards. Learn more about the code here. 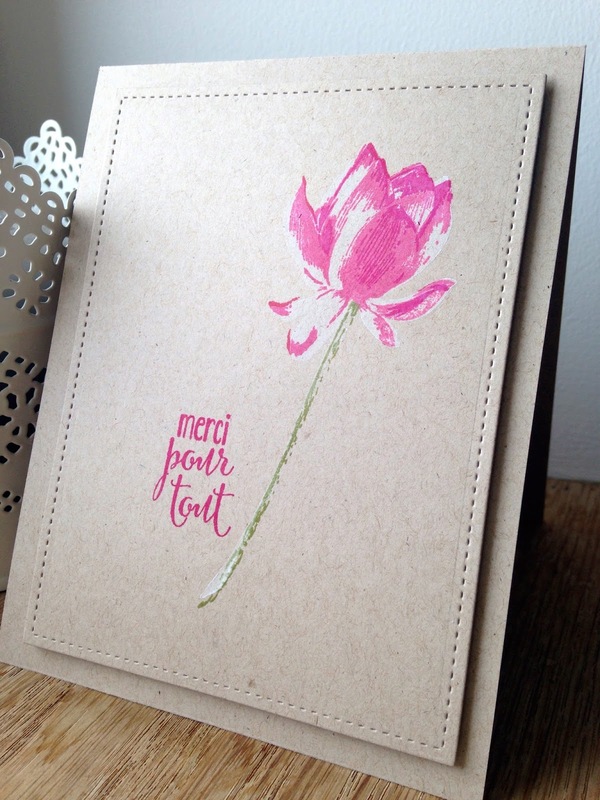 I have recently added a page to the blog at the top (in English) (pour rejoingez mon équipe click ici) about joining my Stampin' Up! team. If you would like to join me and my team during the Sale-A-Bration event (ends 31 March 2015) in addition to the free items from Stampin' Up! that you can choose on joining, I will also send you a Sweetheart Punch as a welcome gift and a thank you from me.